Exercising has long been associated with a number of important health benefits. It can help treat, manage, and prevent obesity, diabetes, cardiovascular diseases, lung problems, and even cancer. It is also extremely important for brain health, which is likely why studies show that children who exercise often have a higher chance of getting good grades in school. However, studies show that physical activity can function to help adult brains as well. People who do not exercise sufficiently can get ischemic heart disease, stroke, peripheral vascular disease, and congestive heart failure. These health conditions occur because, when your heart does not learn to work hard enough and supply the rest of your body with necessary nutrients, over time, your heart will start to wear down quickly and become susceptible to diseases. Hearts that do not work hard also fail to get blood to every single vital organ, which means other organs will start to degenerate and also become vulnerable to certain health concerns. Sometimes, your heart and other vital organs are only temporarily damaged, but they still run the risk of permanent damage, especially when they begin to naturally degenerate as a result of aging. However, by exercising, you strengthen your heart muscles and make them work harder so that they can properly support the rest of your body. One of the most important organs supported by your heart is the brain, which is likely why decreased engagement in physical activity can lead to a decrease in your brain health. Your central nervous system is composed of your brain and spinal cord and it has two types of tissue. One type of tissue is called gray matter and the other type is called white matter. Gray matter contains neurons’ dendrites, cell body, axon terminal, and synapses. These are the part of your nerve cells that are responsible for giving and receiving signals that travel in the form of chemicals known as neurotransmitters. White matter contains neurons’ axon. The axon is the part of nerve cells responsible for connecting gray matter and transmitting nervous system signals in the form of electrochemical signals known as an action potential. Increased volume of the white and gray matter in your brain is associated with an increase in overall brain health because it indicates slower brain degeneration. Current evidence shows that cardiorespiratory fitness is associated with decreased white matter lesions or injuries and with an elevated volume of gray and white matter in your brain. Cardiorespiratory fitness improves with physical activity and it is defined by the overall health of your heart, lungs, and skeletal muscles. It is specifically effective in increasing thickness of the cerebral cortex, which is responsible for memory, attention, perception, cognition, awareness, thought, language, and consciousness. Your prefrontal cortex and your medial temporal lobe can also be affected by changes in cardiorespiratory health. They are responsible for personality, behavior, executive functioning, and memory. They are sensitive to changes in your physical fitness because they are in watershed areas. Watershed areas receive nutrients from blood that has already gone to many other parts of the body, which means they run the risk of getting blood that does not have a high content of oxygen and other nutrients. Therefore, these regions are especially vulnerable if there are shifts in blood oxygen levels. They are also vulnerable if your heart is not strong enough. 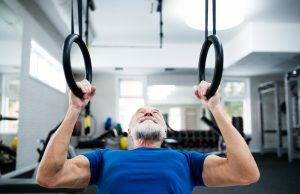 One very recent study documented 146 healthy adults who engaged in varying degrees of physical activity during their midlife or later in order to figure out how exercise could influence brain MRI results in late adulthood. The results of the study showed that physical activity and increased physical fitness played a big role in preventing degeneration in various regions of the brain, especially in the medial temporal regions of the brain. This study was largely consistent with other less recent studies that show physical activity can help to prevent your brain volume from decreasing due to atrophy or degeneration. 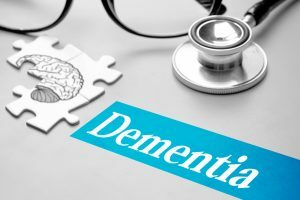 The implications of this data is that exercise can function to help prevent degenerative neurological diseases such as Alzheimer’s disease and other less common forms of dementia. Indeed, degenerative neurological conditions have long been associated with people who have a much smaller brain volume. In order to preserve the parts of the your brain that do not always receive nutrient rich blood, you have to exercise and force your heart to work harder so that it has the strength to deliver nutrient rich blood to watershed parts of your brain. Otherwise, these regions will eventually be damaged. Since nerve cells do not usually replenish themselves or replicate, damaged nerve cells can lead to permanent brain degeneration, which can cause neurological conditions such as Alzheimer’s and other types of dementia. Alzheimer’s disease, the most common form of dementia, occurs when certain plaques form on the brain. These plaques contain amino acids known as beta amyloids. It is unclear what the purpose of normal beta amyloids are, but some research shows they activate certain enzymes known as kinases, protect your body against certain types of stress, regulate the transport of your cholesterol, act as a transcription factor to activate certain genes, and function as part of your immune system. Beta amyloids are often found in your brain, but your nerve tissue is normally capable of breaking it down and preventing more toxic forms of beta amyloids from forming plaques. Most scientists agree that Alzheimer’s disease and other similar forms of dementia develop when your brain fails to break down these beta amyloids. It is still largely unclear what exactly can trigger your brain to fail to break down the buildup of beta amyloids around your nerve cells, but an overall unhealthy brain can certainly play a role in making it more difficult to prevent brain beta amyloid plaque buildup. 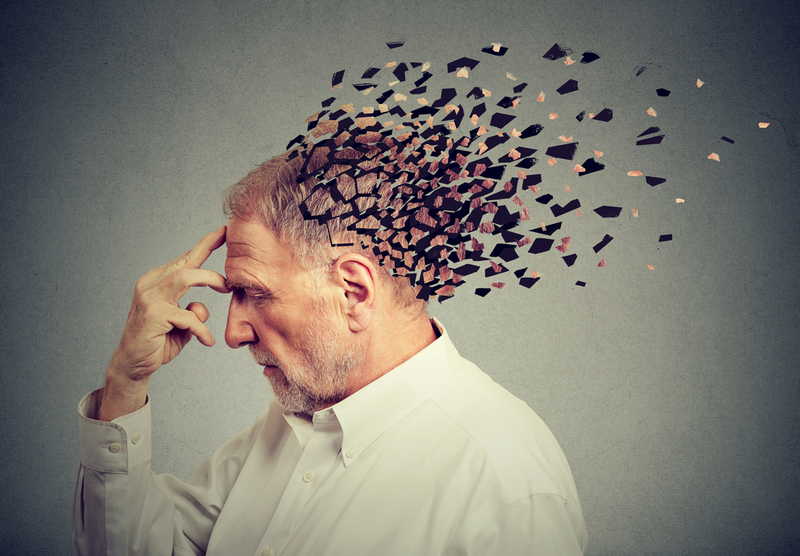 Of course, as part of the aging process, people will experience degeneration in the brain and the related tissue, which will decrease brain volume, decrease brain health, and increase your chances of getting Alzheimer’s or dementia. Fortunately, physical activity can function to keep your brain healthy so that the aging process does not cause your brain to degenerate and to stop breaking down the beta amyloids.